$35 nonrefundable showing fee per property. Must view the inside with us. Its part of the application process. Showings will not be the same day, they are scheduled for the following business day. $40 nonrefundable application fee for the first adult going to live there and $15 each additional adult. All occupants over 17 must fill out application and pay the fee associated with it. All Fees below have to be paid by exact cash or money order only. No credit or debit cards accepted! Rent is only paid by Money order, Cashier check, or personal check only for the 1st to 5th of the month. After the 5th must be money order or cashier check. No CASH is ever accepted for Rent! DEPOSIT ON ALL HOMES IS THE SAME AMOUNT AS THE RENT. All rentals are 1 year leases unless specified! 1. No evictions in the past 3 years, no drug convictions or felonies in past 3 years, on your job past 6 months, you must earn in income 3 times the rent per month to qualify, do not have any vicious breeds of Dogs as we do not allow these in our rental do to insurance policy by us and the owner. List of Breeds of Dogs that the insurance companies do not allow to be on any of the properties we manage due to liability reasons include the following and any mix of the following. This is not the choice of Stikeleather Realty. Any other pets are conditional and must be approved and may come along with a non refundable pet fee! 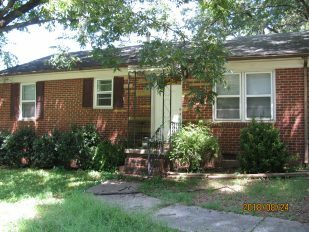 3942 Tillman Rd Charlotte NC 28208 3 bedroom and 1 bath brick ranch. New painted with new carpet. 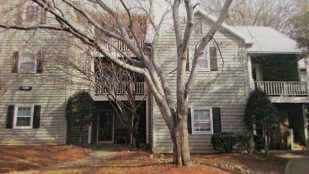 1948 Shamrock Dr Charlotte NC 28205 3 bedroom and 2 and half bath 2 story duplex. Central air and gas heat.